Use with D101ERL & D102ERL Blades Only. Use with Optional SS Wear Plate D103ERL. Earl's Electric Hose Cut-Off Machine makes a tough job quick and easy. Cuts all brands and types of AN hose. Includes scalloped blade. Motor is pre-wired for 115V AC and can be rewired for 230V AC (if desired). 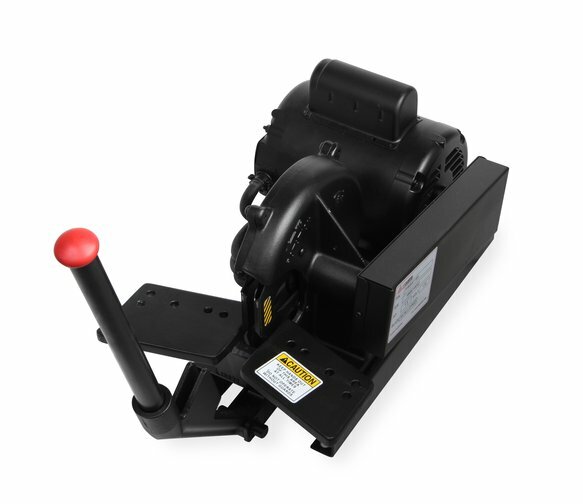 1.5 HP 18.6 Amp electric motor. Replacement blades available separately (D101ERL & D102ERL). Optional Stainless Steel Wear Plate is available separately (D103ERL). Stainless Steel Wear Plate for Hose Saw D100ERL.